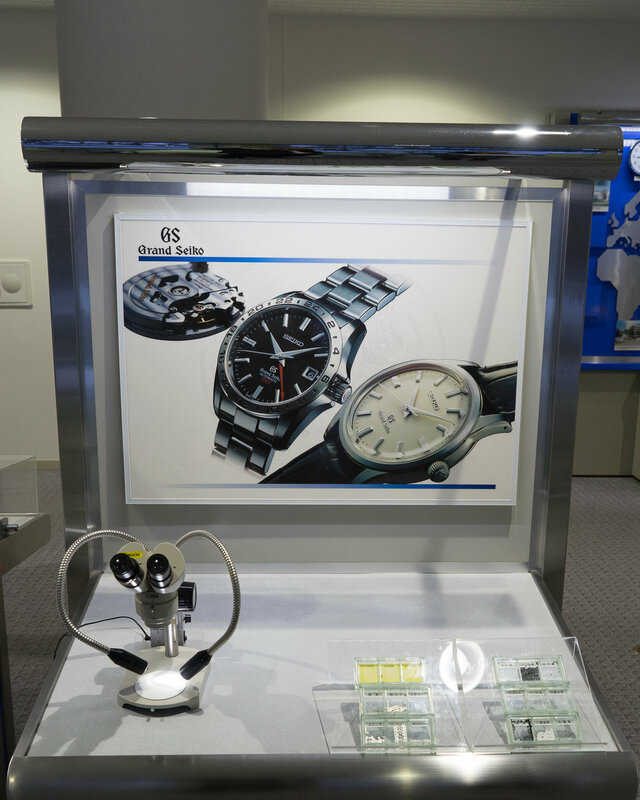 I had the opportunity to visit the Morioka Seiko Instruments Inc. facility in Japan at the start of 2016. 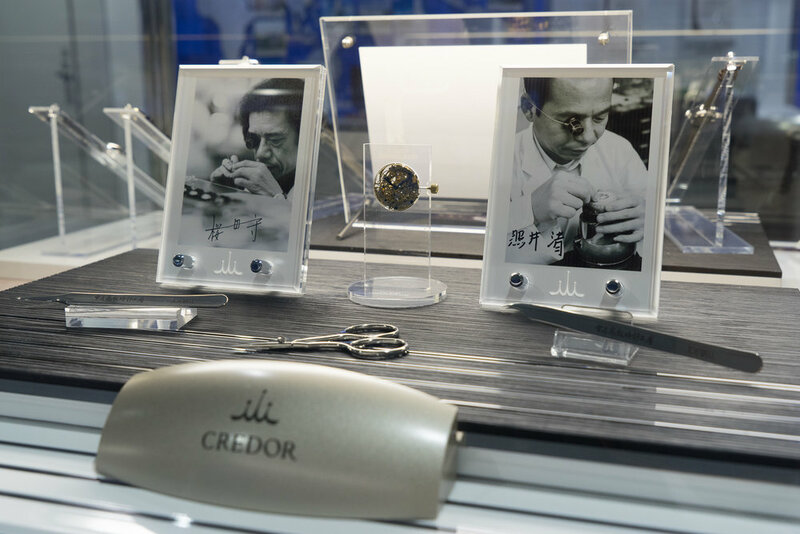 For those not familiar with the facility it is the factory where mechanical Grand Seiko and Credor models are produced. This was part of a greater trip to Japan and details of the trip can be found in the post Japan Winter 2016. While I was in Japan I had a few days spare and thought it would be the perfect time to arrange a visit to the facility. I only had one potential week available for the visit, and when I checked with the factory regarding a tour, they had a very busy schedule with a stocktake early in the week and preparations for international dealers the following. Luckily they were able to squeeze me into their timetable on the Thursday. 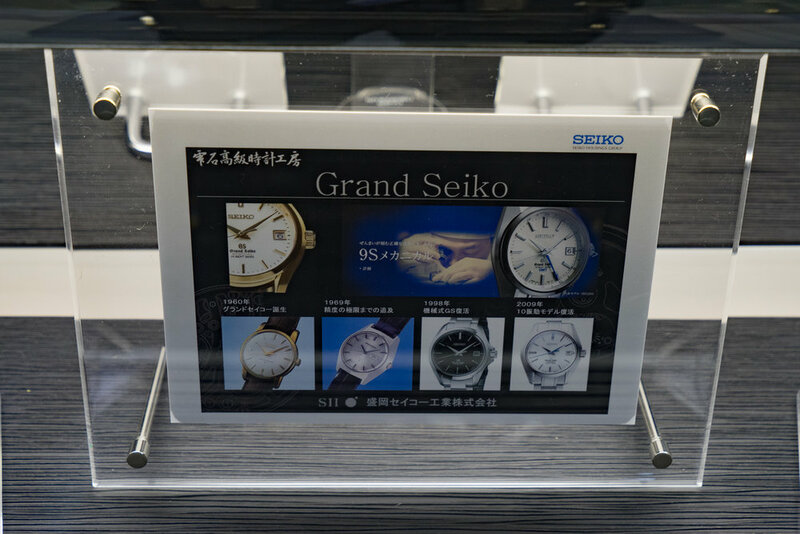 When I told my contact at the Seiko Museum I was going to visit Morioka he informed me that his brother is a General Manager there. I had seen online reports before from other people who had visited and numerous press tours so I already had some idea as what to expect. On Thursday morning I left Tokyo station for Morioka on the Hayabusa Shinkansen. The trip to Morioka takes about 2:13 min and is around 500km away, the train travels up to a top speed of about 320km/h (200 mp/h). When I arrived at Morioka station it was snowing for the first time on my trip. 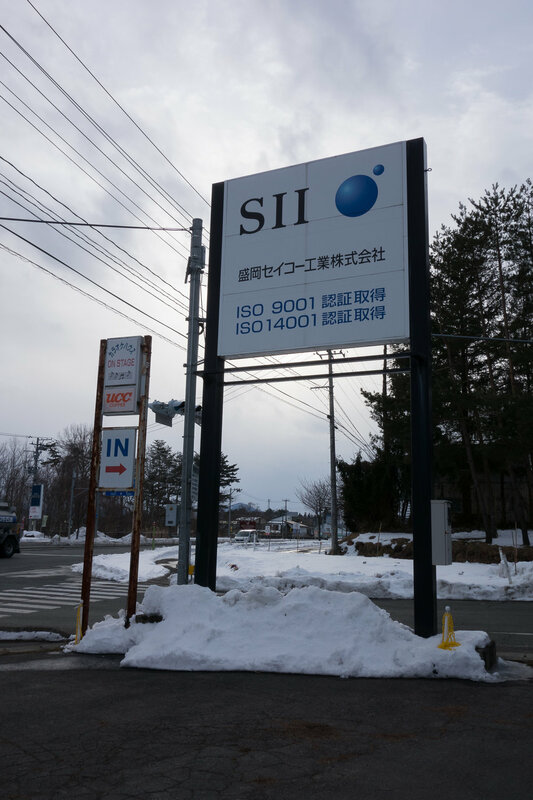 Morioka is a small city that is the closest major station to the SII Factory. 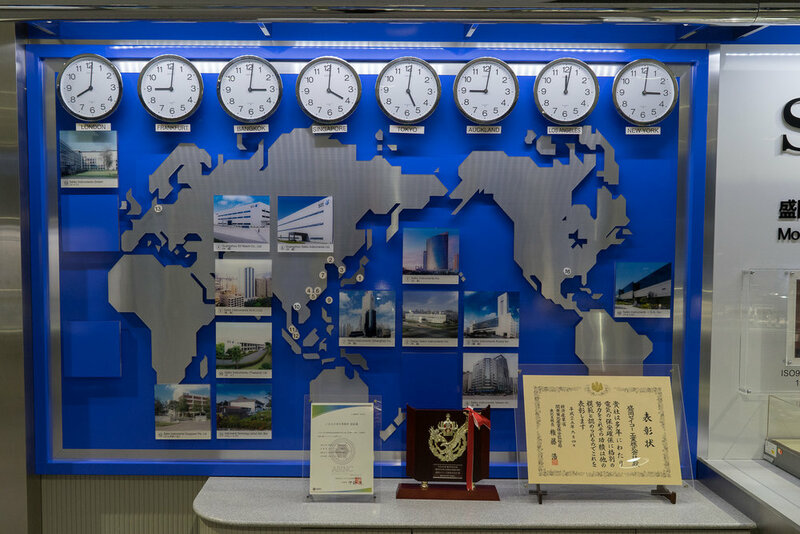 The Morioka station has a large Citizen clock on the outside that I am sure would be a source of annoyance to Seiko employees. Despite being referred to as Morioka SII the facility is actually located closer to the Koiwai Station. This is a small regional train station and is around 1.5KM from the factory. Trains to Koiwai are only every couple of hours, so please check the schedule before planning on catching the train. If you do catch the train please remember it is a regional station and I would not expect a taxi to be there. You could call for one but as it is only around a 15 minute walk to the factory I would suggest just walking. As the train schedule did not fit my requirements I took a taxi from Morioka to my hotel that was close to the factory. If you are planning on staying overnight near the factory there are a couple of hotel choices that make sense. The first choice would be Hotel Shion or its partner hotel Aishinkan. Both are traditional Japanese hotels (ryokan) and they each have hot spring facilities (onsen). As I had left my booking late I was staying at Aishinkan. The cab ride to the hotel was around 25 minutes and after checking in I had a couple of hours before my appointment so I decided to walk to the factory. The weather was quite nice and it would be good to see some countryside. The hotel is located on the opposite side of Lake Gosho from the factory, so I crossed over the bridge and walked up the hill. Being winter time the lake was mainly frozen over but with the mild winter this year it had not totally frozen. The walk towards the factory was pleasant and took around 45 min. As I was early I grabbed some tasty ramen from a store that is just opposite the south entrance to the facility. After eating I headed across the road and headed into the factory grounds. If you are catching a taxi or walking from Kowai Station they you would normally enter via the west access road but if you enter via the south entrance just head to the left when you get to the factory to go to the main building entrance. When I arrived at the factory I was greeted by the person I had made the booking with and the General Manager. We headed inside and went to a conference room where I was offered some tea and we had a general overview presentation on the facility. 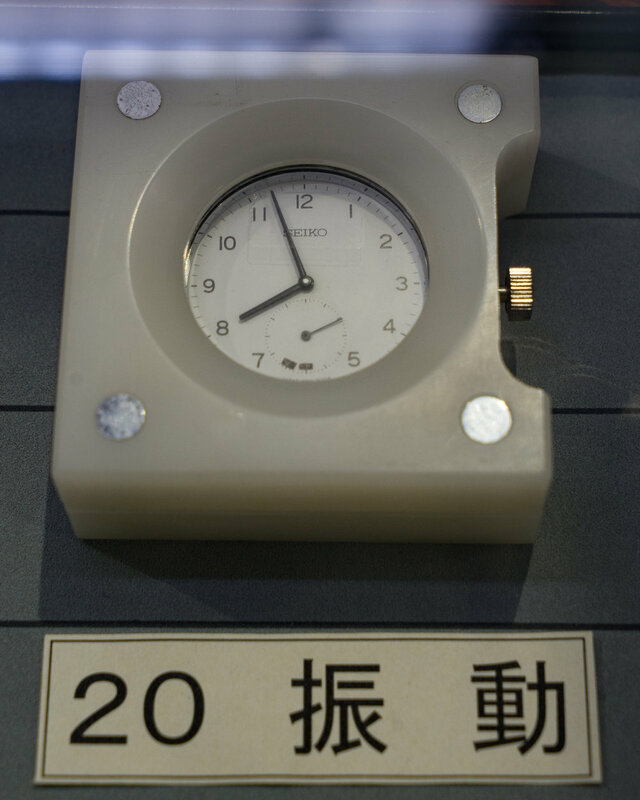 The Morioka facility was established in October 1970 and has continued to grow over the years. There are now 776 staff members employed at the facility. The factory has a floor space of 30,000 square meters and is located on a large section of land. The facility land is around 75% green space and there are sections of forest that surround the buildings. The factory takes their environmental activities very seriously and all of the systems and processes on site take this into consideration, for example they have their own water collection and waste water filtration systems onsite. At the facility there are a couple of different areas for production. 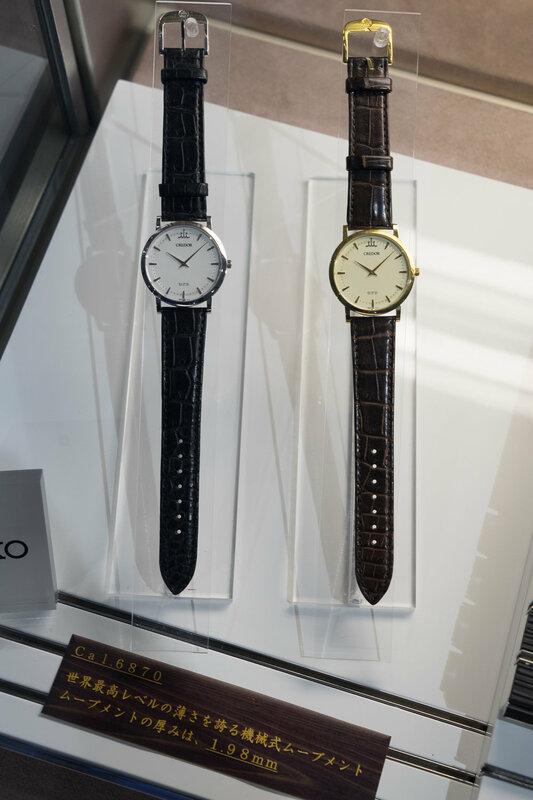 The first section, that takes the majority of the area, is a facility where analogue quartz movements are produced. 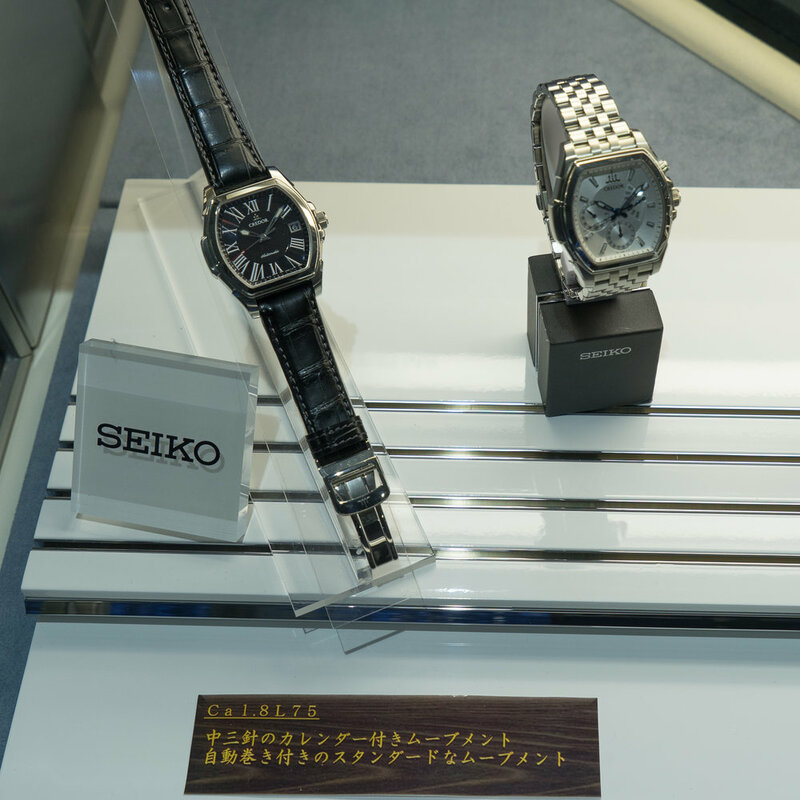 These are not used in Seiko branded products but are OEM movements that will be utilized by third party manufacturers. 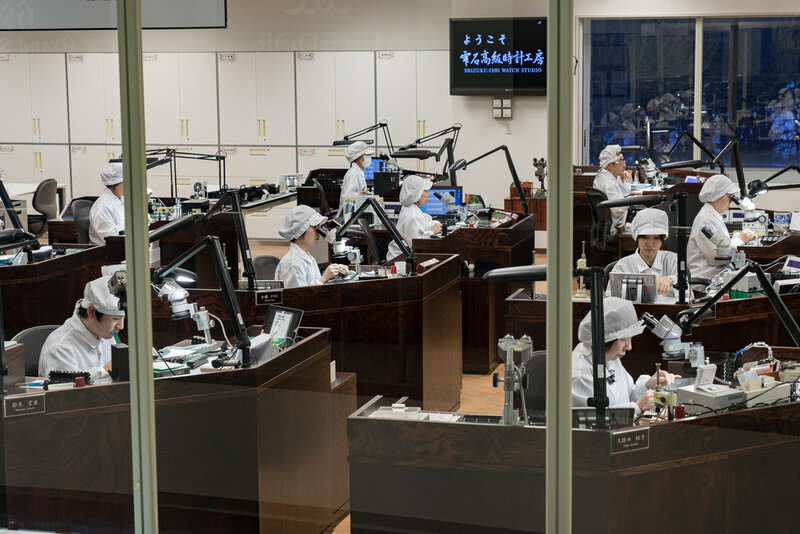 The other part of the facility that is likely of more interest to readers is the production and assembly of mechanical movements for Grand Seiko and Credor movements as well as some of the other higher end calibres such as 8L. After the quick presentation it was time to have a quick photo with the staff before the factory tour. During the tour it was not possible to take photos for the majority of the time as it was fully functioning factory and, unlike during a press tour, you cannot disturb the workers as they complete their tasks. 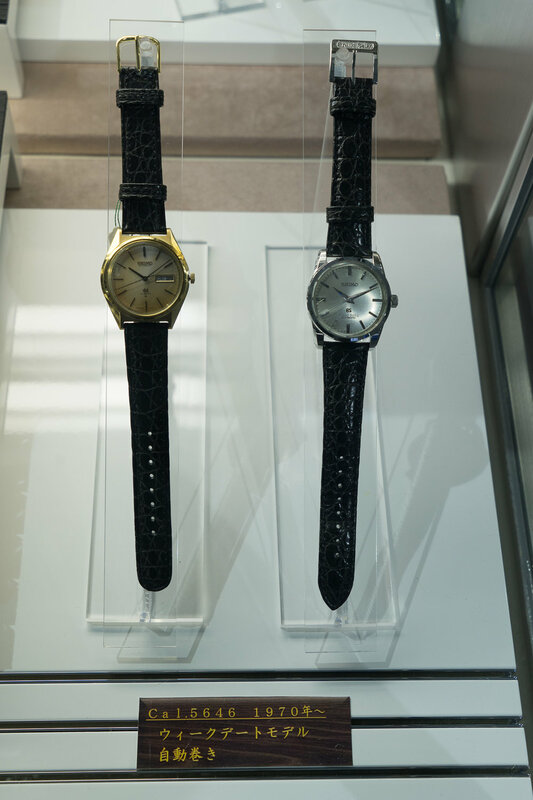 The first part of the tour was of the analog quartz section. 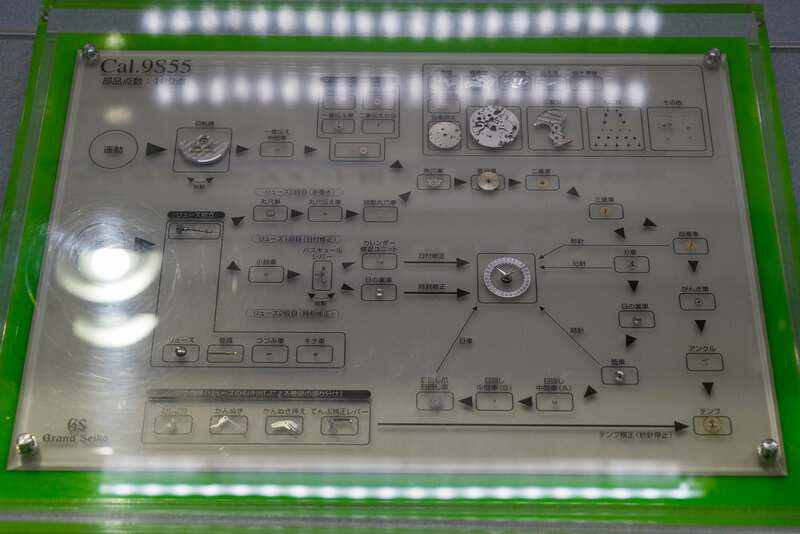 This portion is highly mechanized with most of the machines in the assemble line actually produced by Seiko themselves. 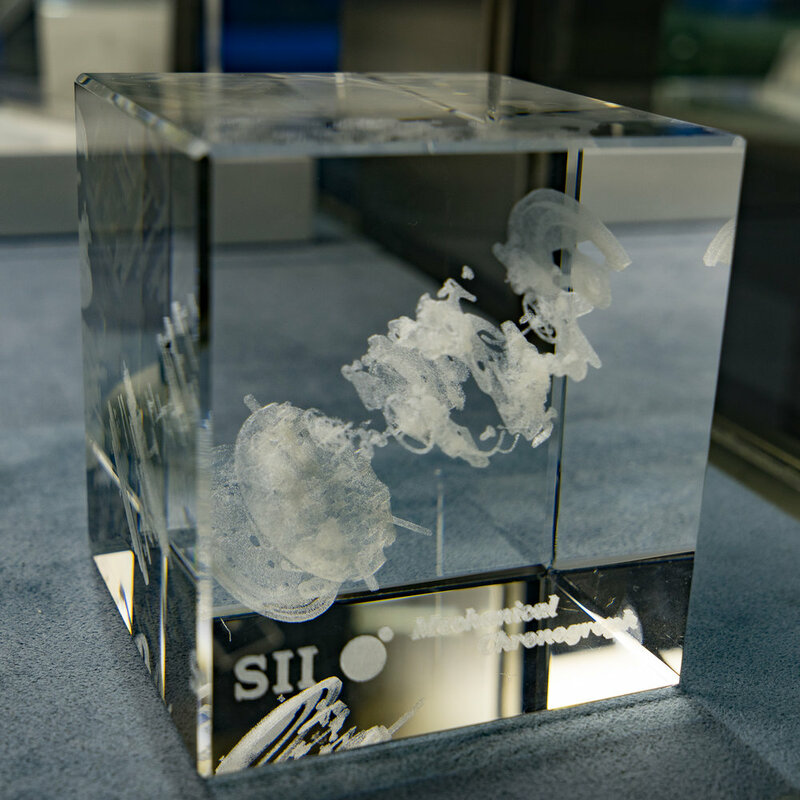 There were machines that stamped specific parts from strips of metal, automated lathes and injection moulding machines that produced plastic parts. This section of the factory was really interesting and I would have liked to spend a little more time there but we moved onto the mechanical section of the facility. 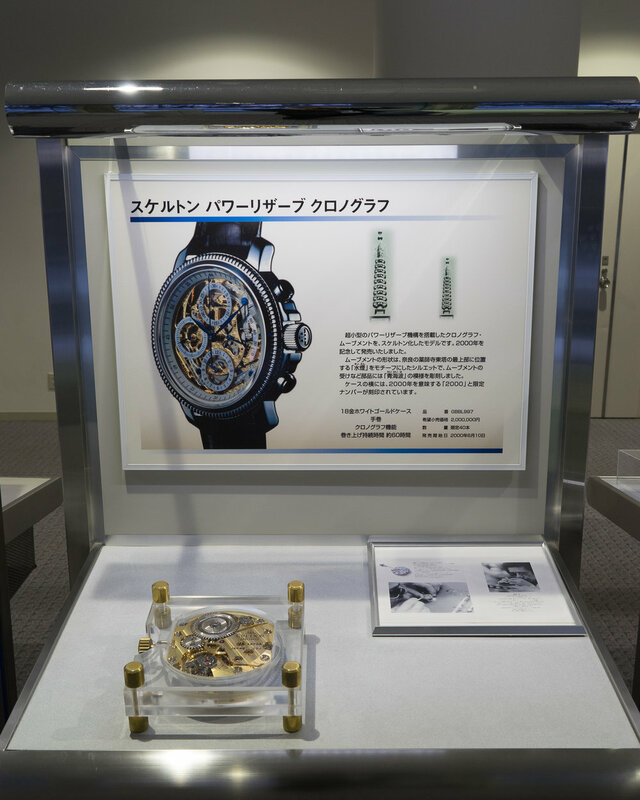 The part of the facility that makes the mechanical movements for Seiko is referred to as the Shizuku-ishi Watch Studio. This is named after the town that is close to the factory. The studio employs 60 people and in this portion of the factory female workers are in the majority. The studio produces about 30,000 units per year, and while it sounds like a lot it equates out to about 2 units per person per day. Obviously not everyone produces complete watches so this number is not exact but it is around 120 units per day. During the start of the studio tour I was able to see some of the machinery that produces the parts for the movements. The first section was the machine that produces the main plates for the movements. Next was the machines that produced the balance wheels. 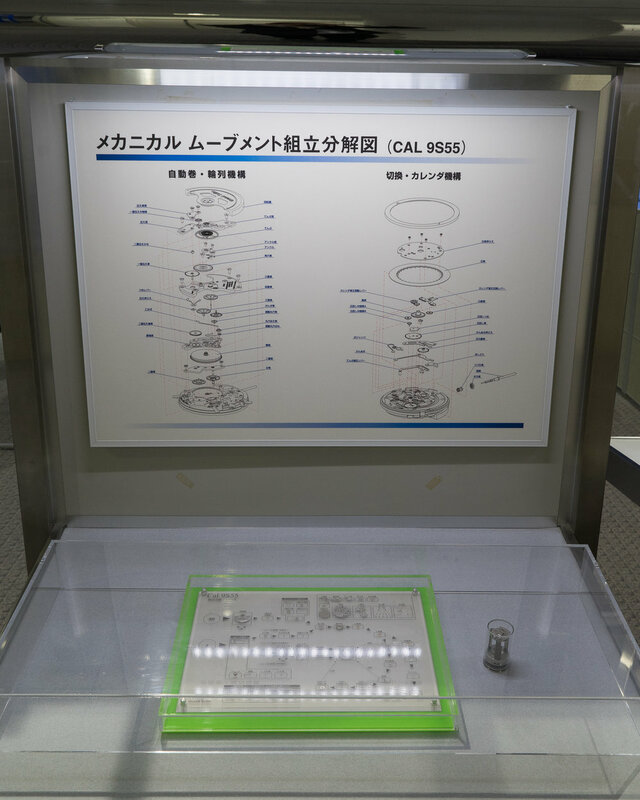 The first machine was able to produce units to a tolerance of 5 millionths of a gram. After being impressed by this I was told this is just for the lower end movements such as the 8L and that the high-end movement balances are produced on the machine beside it. The tolerances for these balances are down to 1 millionth of a gram. Next was the hairspring adjustment section. Here three women make the initial adjustments for all of the hairsprings. The precision for these items is very impressive and I was told that a difference in of 2 micron in length equates to approximately one second per day. After this section we headed to the main assembly area of the studio. Here they have a large window to allow the viewing of many of the workers. In this area there was also a video presentation on the assembly movement as well as the hand carving process for some of the Credor models. This window area give you a really good view of the main studio area and you are able to see the workers performing their daily tasks. It was nice to see the leader of the assembly section, Meister Tsutomu Ito at work and directing the team. While I was there you could see various team members coming to Ito san and consulting him on various issues. 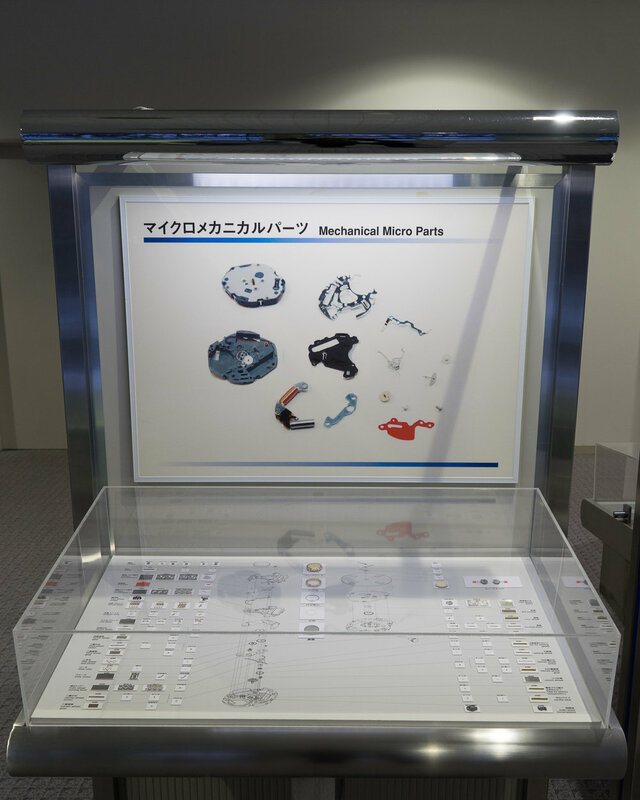 In this area there was also a display of the various tools that the employees use. 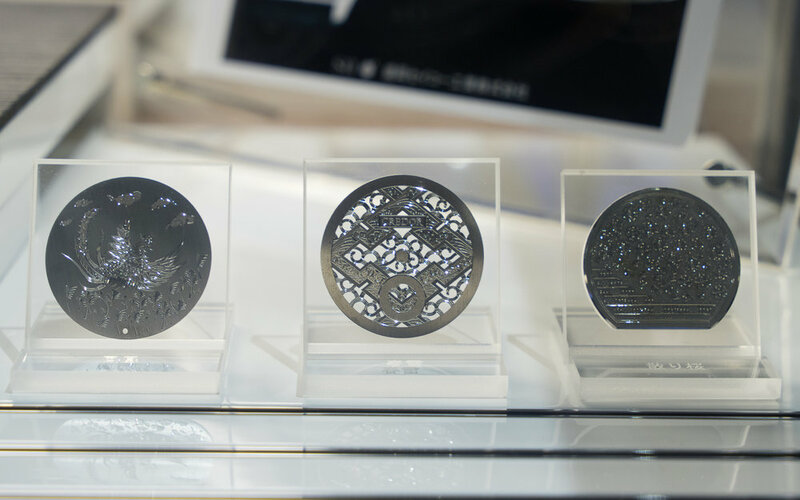 These are generally off the shelf items but when apprentices graduate they are presented a set of tweezers engraved with Shizuku-ishi Watch Studio. After leaving this section we headed back to the main lobby of the building. In this area there are a number of different exhibits. The first section showed the parts that are manufactured for the quartz movements. 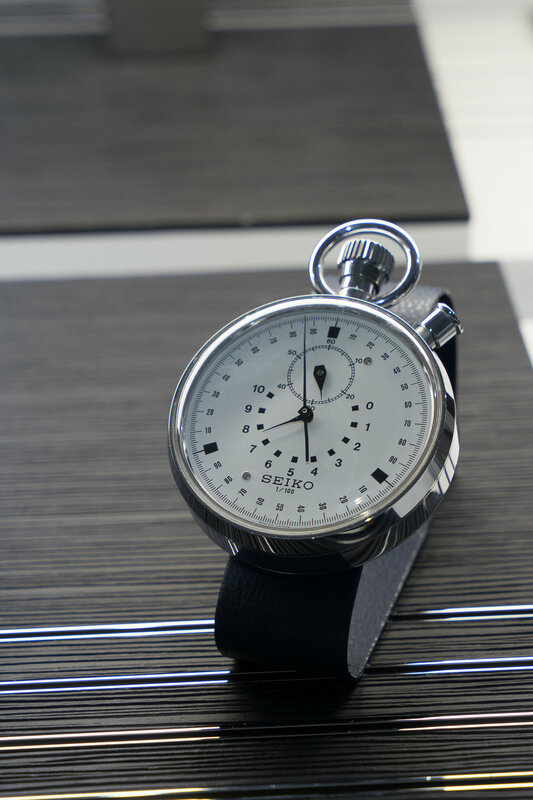 Next was a large version of the 68 series movement that can be manually operated. This was followed by an interactive section that allowed you to view some of the various parts under a microscope to see the level of finishing. Another display showed examples of the finely carved Credor dials that are made here. There was also a series of photos of the artisans and their various tools. This was a cube showing an exploded chronograph movement and an exploded 9S55 movement. 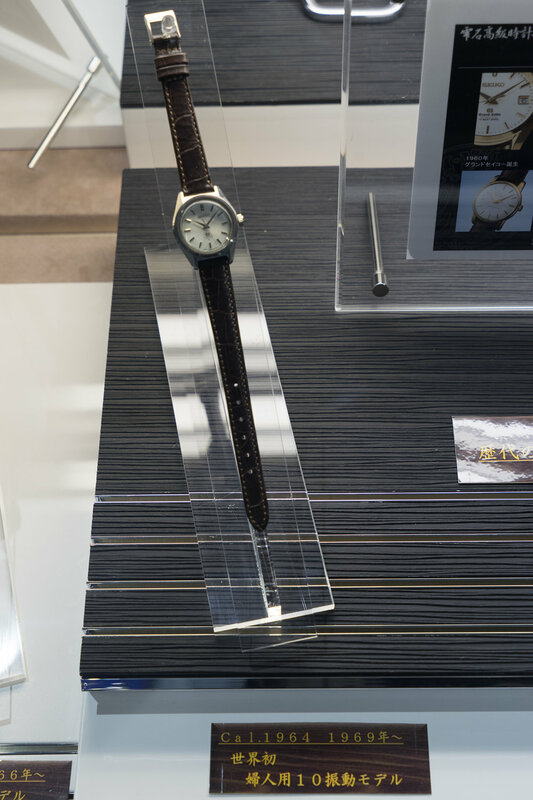 The displays also had a series of complete watch examples showing the different movements that the factory has produced. 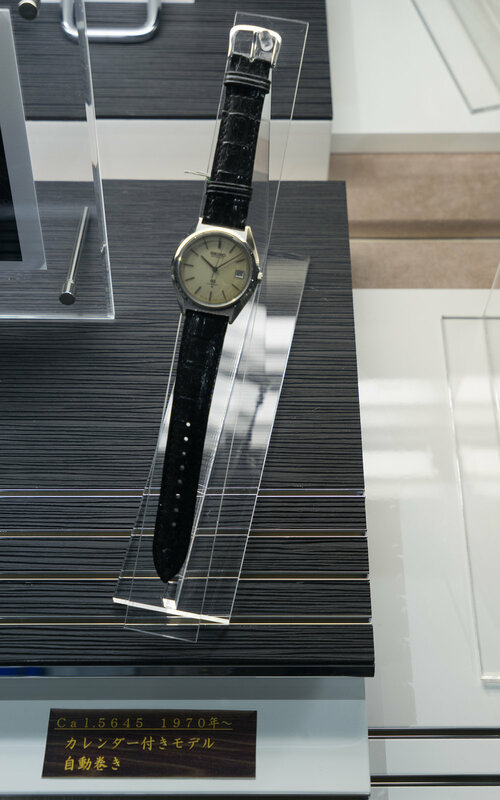 In addition to the modern movements there was also a display of some of the historical models from the GS line up. The also had a NOS 6159-7010 Tuna that was in perfect condition. 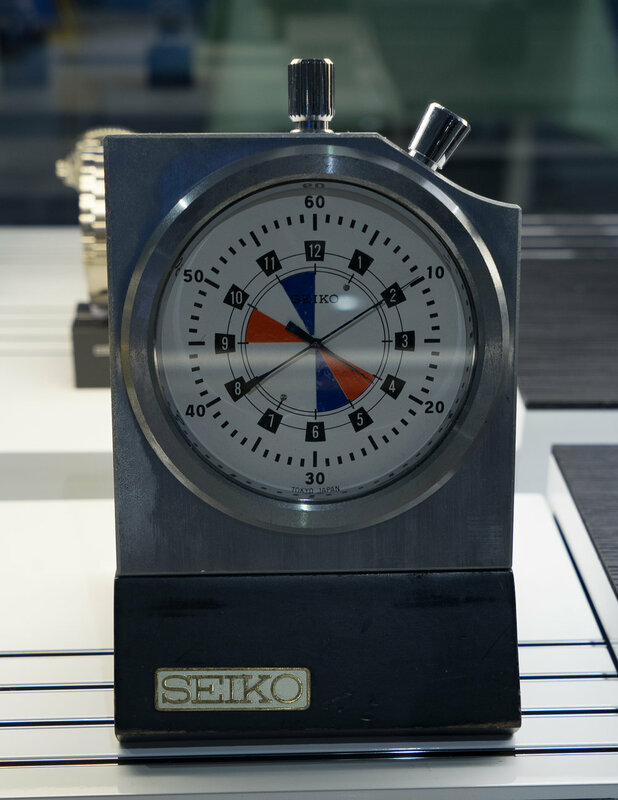 As sports timing is something that Seiko has been known for since the 1964 Olympics they also had a series of various mechanical sports timers displayed. 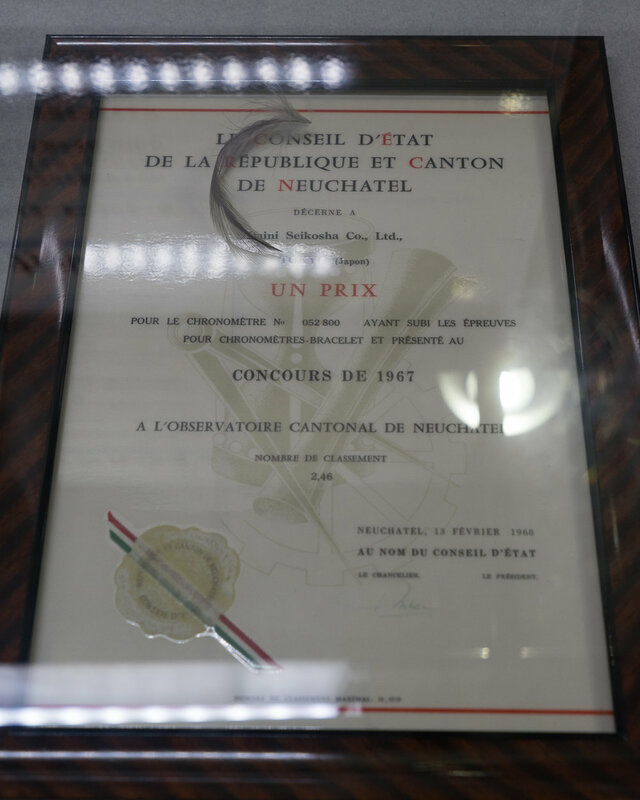 Finally rounding out the historical section was an exhibit on the Neuchâtel Switzerland competition. There were a couple of the certificates and paperwork from the competitions. There are also a couple of different movements including 10 and 20 beat variations. 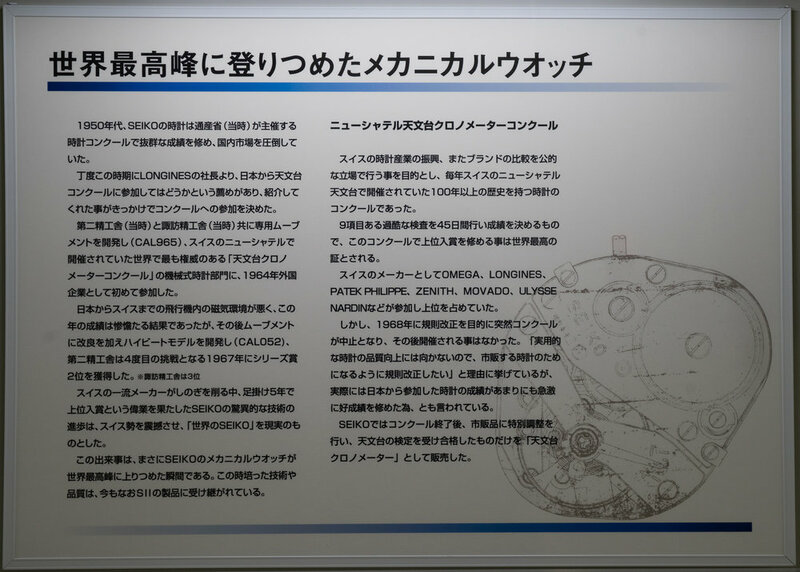 Finally outside of the historical section were a couple of maps showing the various Seiko facilities. The first was a world map of the various factories and then a more detailed map showing the Japan based factories and a range of celebrity feedback. Lastly there was a model of the Morioka facility. After checking out these exhibits we headed back to the conference room and continued our general chat. I was invited to have a return visit and view first-hand the carving of the Credor dials and a behind the scenes visit. As you can expect I will be taking them up on this offer when I next return. Hopefully I will be able to take some more photos next time. Finally, after over two and a half hours, it was time to leave. As I was leaving the building I saw this clock just beside the door. This was something that had been built by the staff in their free time. As it was now dark I caught a cab back to my hotel where I spent an enjoyable evening before heading back to Tokyo in the morning. I had a really enjoyable time at the factory and the staff were extremely friendly and accommodating. I look forward to having the opportunity to visit again.